Bio-Rad Luminex 100 XYP Platform SD Multiplex Sheath Assay Clinical Diagnostics . New Life Scientific, Inc. This product is in fair cosmetic condition and it will be sold for parts / or repairs. The technicians evaluated this instrument and noted that the original needle was bent. This system is incomplete as-is and NLS cannot complete the instrument. New Life Scientific technicians powered this instrument on and were unable to perform additional procedures. The arm raises and lowers, and the light turns on but this observation was not adequate to confirm functionality. 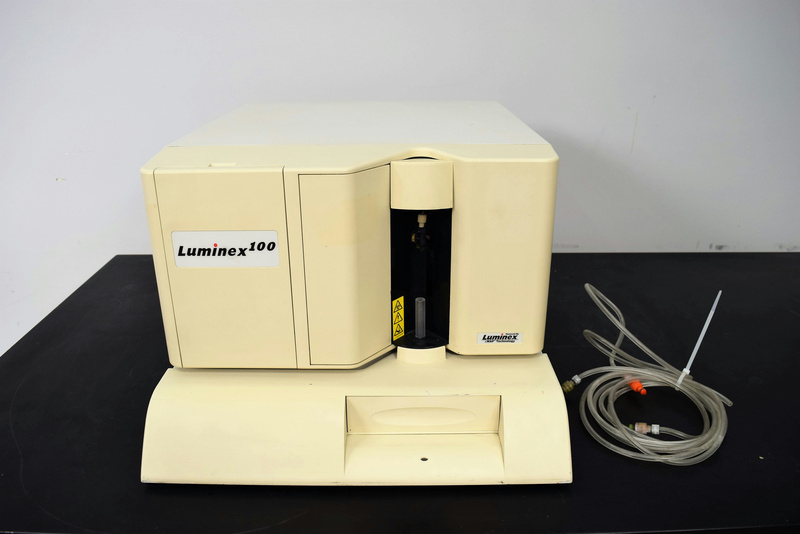 The Luminex 100 is available for parts / repairs only. The system enables you to multiplex (simultaneously measure) up to 100 analytes in a single microplate well, using very small samples. Powered on, removed needle as it was bent. Missing another component to test further. Being sold for parts or rebuild.